Back in Orlando for only a few weeks, I came home with a lengthy list of places I wanted to check out for gluten-free eats. 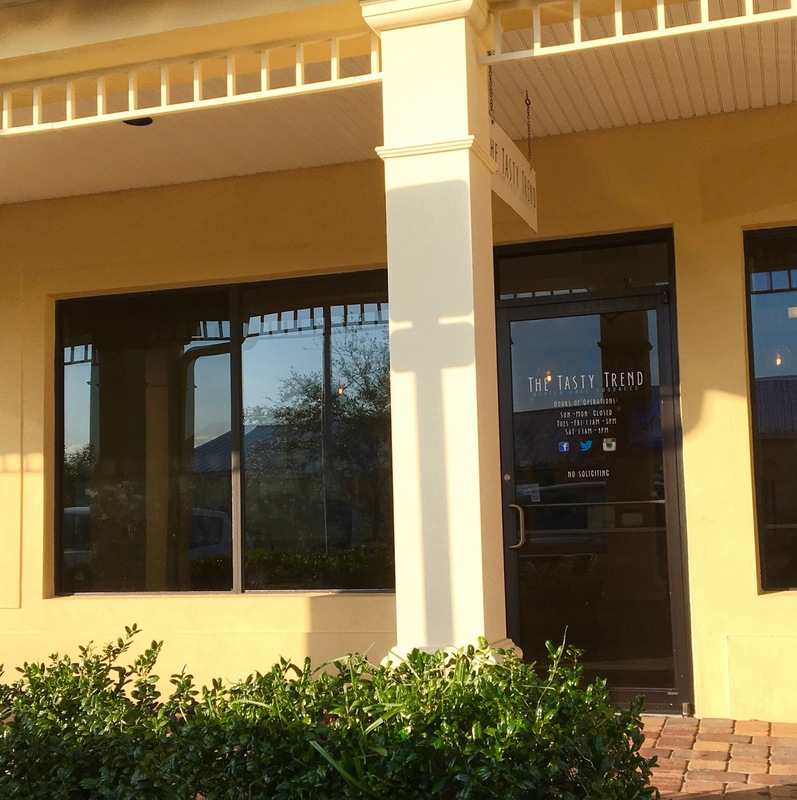 After enjoying lunch at Disney Springs, I suggested a stop at The Tasty Trend Bakery for dessert, a gluten-free bakery in Winter Garden that has allergen-friendly options on hand. In a town overrun by chain bakeries where gluten-free is often an afterthought, The Tasty Trend focuses on those of us with dietary restrictions, as they are completely gluten, peanut, and tree nut free facility. It's a real treat to be able to partake in the experience of going to a bakery without fear, and I like to make a point of applauding and supporting local small businesses that work hard every day to serve the community. 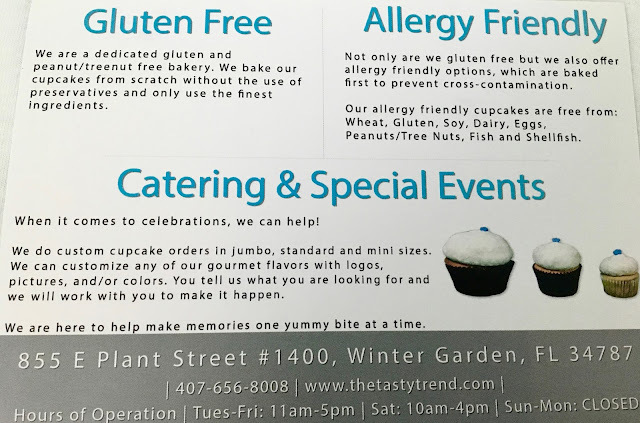 All of Tasty Trend's cupcakes are gluten-free, but they always have a selection of "allergy friendly" cakes on hand that are free from soy, dairy, eggs, fish, and shellfish in addition to gluten, peanuts, and tree nuts. The day I visited, the bakery case contained a good variety of each, with plenty of options to choose from. In addition to cupcakes, Tasty Trend bakes muffins, cookies and doughnuts, but those that were baked that day were dairy-containing. The staff member who helped me was really nice, explaining all about allergy protocols and offering to grab other flavors from the back when it seemed they had run out of certain flavors. 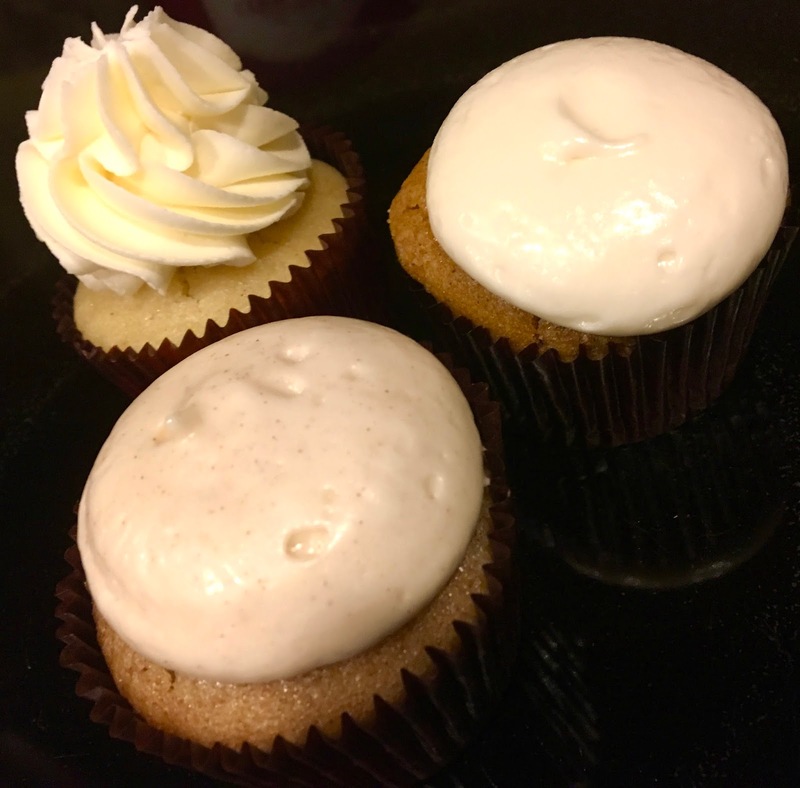 From the allergy friendly selection, I picked a trio of flavors to try: the snickerdoodle, vanilla, and pumpkin spice. Other offerings that were in the allergy friendly shelf that day: chocolate and coconut. The pumpkin spice cupcake featured a creamy vanilla frosting. I liked the rich pumpkin-y cake, which was the moistest and densest of the three cupcakes I tried (but it wasn't in a bad way). 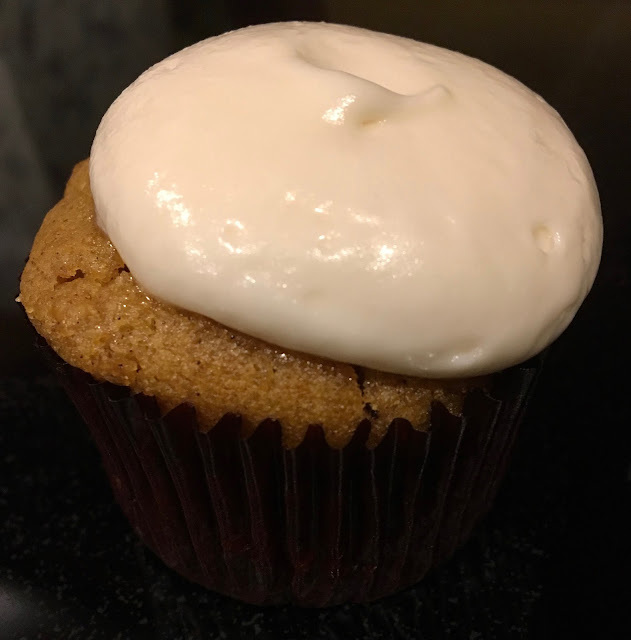 It definitely was more pumpkin-y than spicy, and the cream cheese-like flavor of the frosting added a sweet, slightly sour contrast to the cake that was delicious. This flavor is a seasonal offering, and I was told there's a limited time left in its run. 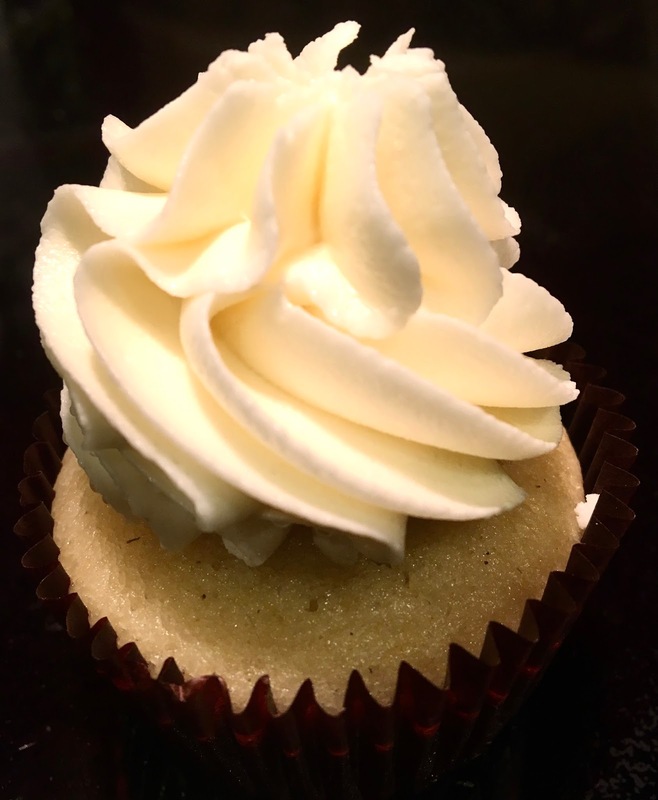 The vanilla cupcake features a nice swirl of sculpted vanilla frosting. The cake here in this cupcake was fluffy and light and the frosting was sweet and vanilla-y. Vanilla on vanilla is often stereotyped as boring, but this cupcake was definitely not. Of all the cupcakes I tried, this one took a solid second in the race for my favorite flavor. The final of the three, and also my favorite of the trio- was the snickerdoodle. 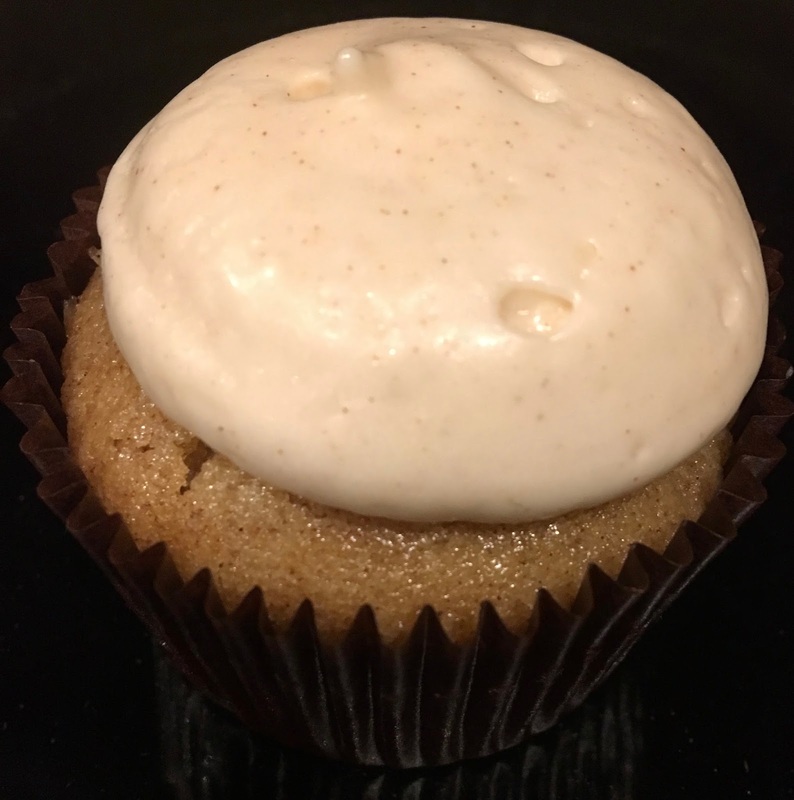 It earned points for taste, texture, and originality, as I have not had a snickerdoodle cupcake before. The cake was sweet, moist, and slightly cinnamon-y but the snickerdoodle effect was solidified with the icing, which was super cinnamon-y, sweet, and thick. While it got the snickerdoodle flavor profile right, it also reminded me of a cinnamon bun in cupcake form. Either way, this cupcake earned my regard as my favorite of the bunch. If you're not going to eat your Tasty Treat products right away, you can store them at room temperature in an airtight container. Just a warning though: the frosting can get a little wonky in warmer temps. It still tastes good, it's just a little melty. I definitely will be back to The Tasty Trend soon because I want to show my support for this dedicated local small business. The staff member helping me was clearly passionate about gluten-free eats, and the selection was good for both allergy-free and just gluten-free cupcakes. In a town where $5 lackluster cupcakes are the norm, The Tasty Trend is definitely not to be overlooked for more famous names. For $3 a cake, it's a place where you can pop in for a treat any day. Special Features: Contact Tasty Trend for custom orders and catering for your next party or event.